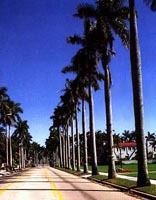 Southwest Florida Vacant Lots for Sale! All Florida vacant lots below have title insurance guaranteeing ownership and are sold "as-is" by owner with no sales commission required. Deed to be transferred by a qualified and licensed independent Florida title agency. Check the site periodically for new vacant residential lots and homesites in Lee, Charlotte, and Sarasota County. Click HERE for general feedback, questions, and contact info. The database connection named 'QProp' is undefined.